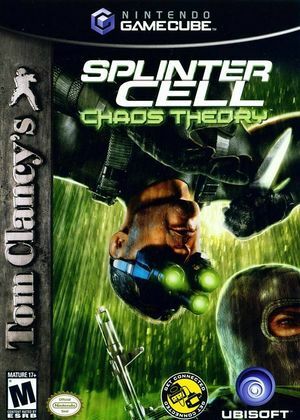 Tom Clancy's Splinter Cell: Chaos Theory has a native 16:9 display option, but it requires enabling it in its internal options and setting Dolphin's Aspect Ratio graphics setting to "Auto". Using the widescreen hack with this title is not recommended. In Single Core, the game will not boot. Using Dualcore with SyncGPU off allows the game to work properly. There is a game-breaking bug in the Displace International mission. After leaving the server room and heading onto the elevator to the upper floors, upon loading the section nothing can be seen. Fixed sometime before 5.0-78. Texture errors with walls can be avoided by making sure "Force Texture Filtering" is set to off. The graph below charts the compatibility with Tom Clancy's Splinter Cell: Chaos Theory since Dolphin's 2.0 release, listing revisions only where a compatibility change occurred. This page was last edited on 26 October 2018, at 01:00.